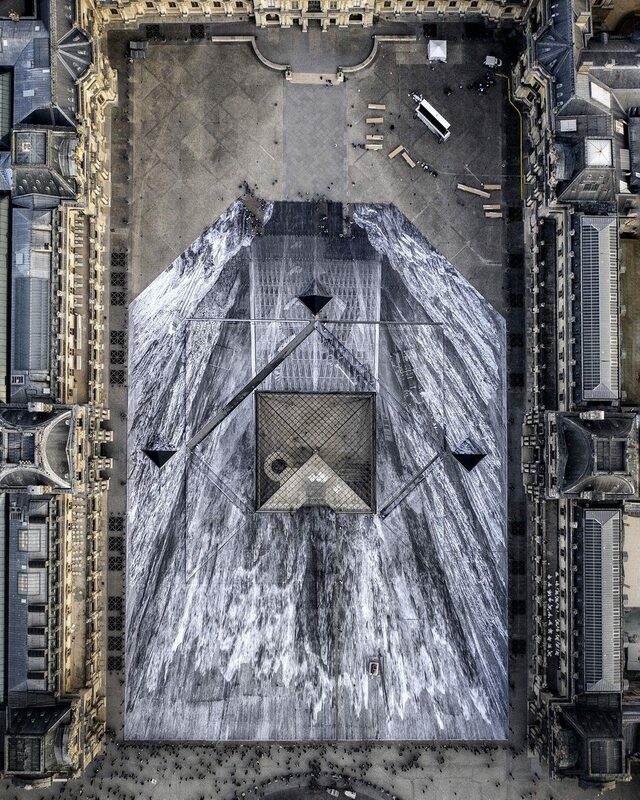 For a few precious hours outside the Louvre, the ground around the iconic Pyramid appeared to be in the process of excavation, revealing a hidden portion of the structure. 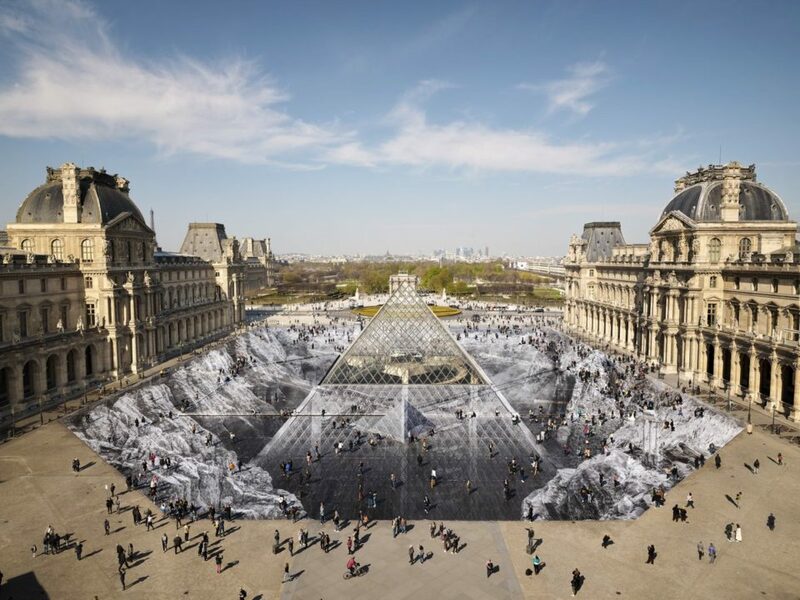 Rendered on paper in black and white, “The Secret of the Great Pyramid” is the second optical illusion involving the Louvre Pyramid by French artist Jeane Rene (better known as JR), and it took a team of 400 volunteers and 2,000 segments of paper to create. Celebrating the 30th anniversary of the Louvre Pyramid’s creation on March 30th, 1989, “The Secret of the Great Pyramid” stretches to fill the entire courtyard outside of the 12th century museum. Sadly, it didn’t last. Visitors demonstrated why we can’t have nice things when they tore up the installation within hours of its completion, and now there’s nothing left of it but a few scraps blowing in the wind. But that was all part of JR’s plan. The artist knew the piece was ephemeral, and that being made of paper meant it had a very limited life span. Before its installation, he predicted that some people would destroy the piece unintentionally with their feet, while others would rip pieces away to take home. But for a moment in time, this massive optical illusion was certainly epic, and thankfully, plenty of people caught it on camera while it was still intact. 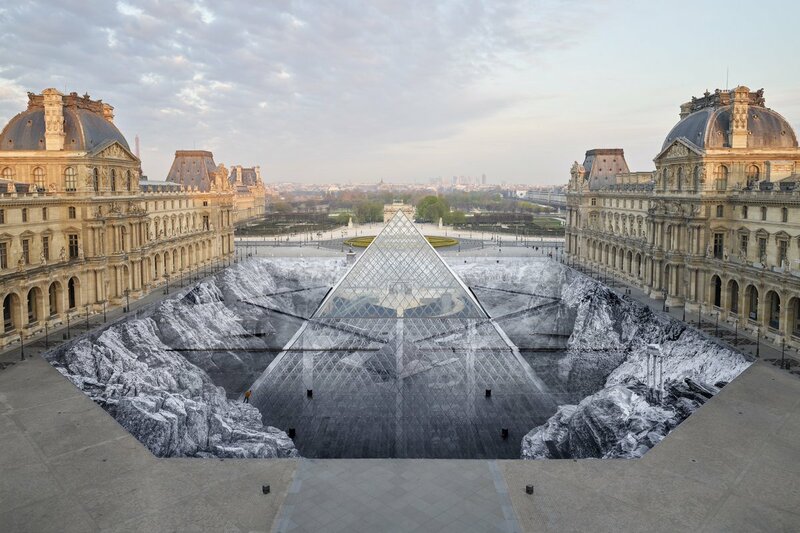 Previously, JR made the pyramid “disappear” in a work of large-scale urban camouflage. 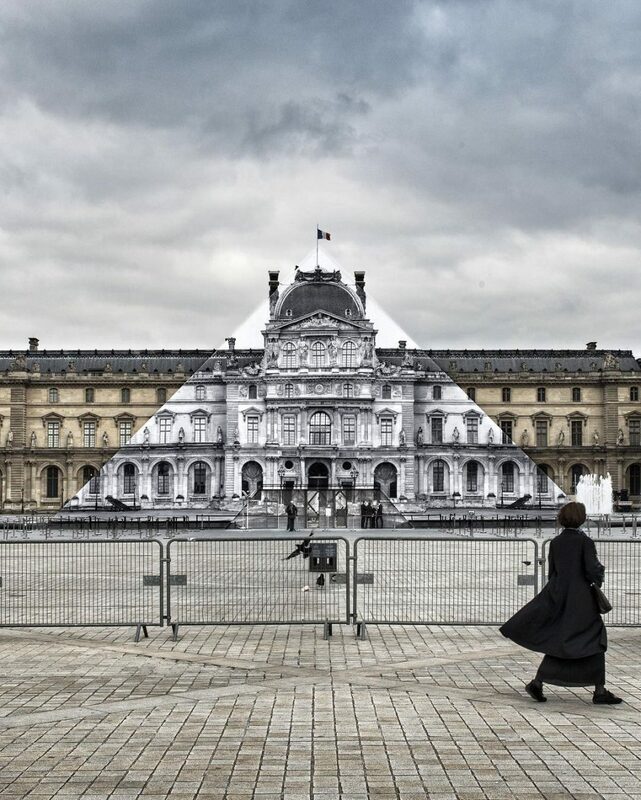 JR is known for his black and white photographic public art installations, typically tailored to the environment in which they’re placed. Sometimes that means placing the leaping figures of Olympic athletes atop buildings in Brazil or taking portraits of the elders of a community and making them impossible to ignore; sometimes it means making overt political statements like a bi-national meal at the United States-Mexico border or towering an image of a Mexican toddler over the border wall for guards to contemplate.